Randy Ulmer is a person we have admired for many years. He is an amazing shot with archery gear, and he has put some incredible animals on the ground including some mule deer that would make the accomplished, hard-core mulie hunters drool. He is an educated professional, a dedicated husband and father and a credit to Bowhunting. Randy graciously answered our interview questions in October of 2007. 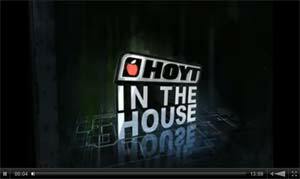 Join Hoyt as they tour the Ulmer compound with Randy and Tammy.